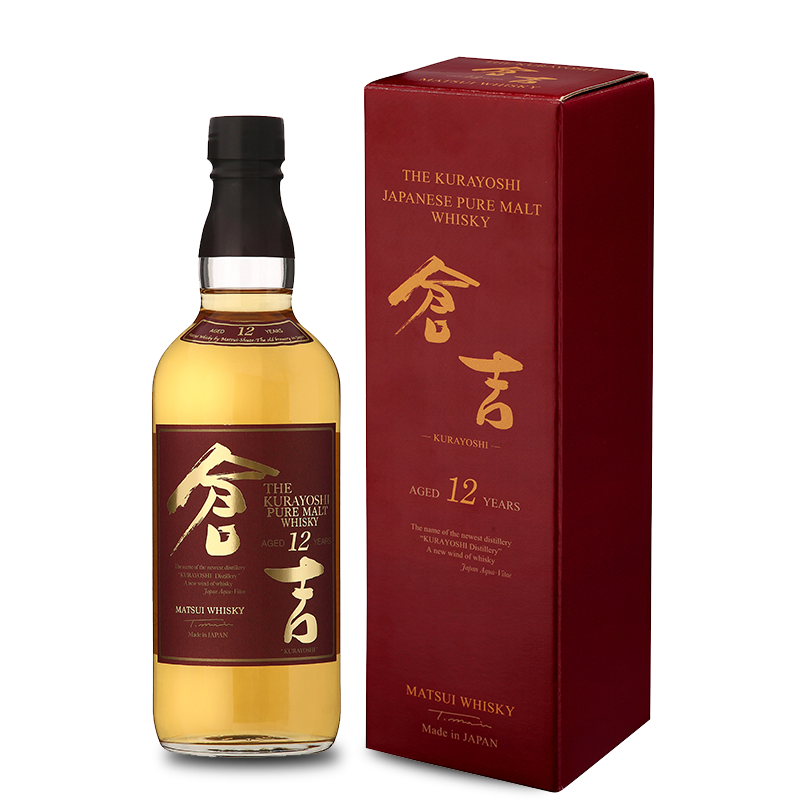 Kurayoshi Pure Malt Whisky was aged for over 12 years in ex-bourbon white oak barrels. It is rich and fragrant with a nutty character and bold malt flavors. It is a well-balanced whisky with hints of vanilla, raisin and faint smoke. The light finish is a reminder of Tottori’s pure spring water used during distillation.